All Backyard Fun is a family-owned outdoor patio and furniture retailer based in Boulder, Colorado. 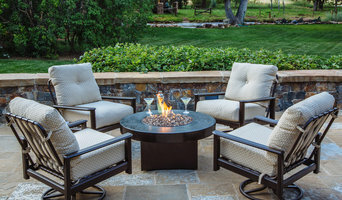 For over a decade we have been the leading distributor of Oriflamme Fire Pit Tables. We offer high quality, high value, 'mom approved' outdoor patio furniture sets, backyard games, gas burners, all weather outdoor rugs and fire pit tables with drop shipping in the U.S. and select destinations worldwide. Note: Most of the products we offer are hand finished at the manufacturer and direct shipped from the factory to your home or business. Thus we quote the average production + shipping time as determined by the manufacturer. Product availability and shipping times may vary slightly based on the national volume of orders and season. We work extremely hard to be efficient on our end and proactive in addressing challenges. We thank you in advance for your understanding of issues that are not always in our control. 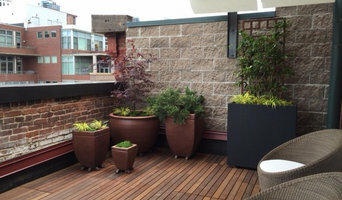 Urban Roots provides comprehensive landscape services for small garden spaces, including lofts, decks, patios and city garden containers. Susanne Wood, our owner and lead designer, manages all of our detailed customer consultations and works directly with all of our clients to create and execute a unique vision that fits your personal garden style and specific needs. Most consults are on-site and typically last 1 1/2 hour. Please connect with us at 303-894-4064 to schedule your consultations or visit our website under the garden design tab to connect with Susanne directly. Consultations Include: Space Allocation Container Preferences Landscape Style and Unique Design Details Appropriate Plant Material Drip Irrigation Outdoor Lighting Color Design for Garden Accents and Accessories Daily/Monthly/Yearly Maintenance Consideration of Budgetary Constraints Microclimate Needs We are so excited to start digging for you! Visit us today at our shop, located at: 1000 Acoma St, Denver, Colorado 80204 Once an old mechanic's garage, houses all of our unique gifts and carefully crafted plant and container selections. 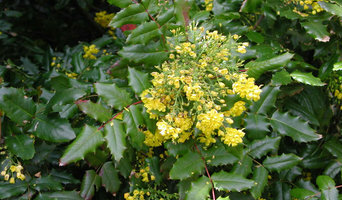 We update our offerings seasonally, bringing in new and exciting items for your outdoor garden space. To round out your gift section, we offer unique cards for any occasion. The shop is filled with everything your nature-seeking heart desires. We design, create, and steward landscapes driven by the philosophy that beauty will change the world. We work to shape and implement a Colorado aesthetic while being relationally driven. We are a full service nursery open to commercial landscapers and to the public! Come down and see what we have in our yard to fulfill all of your landscaping needs. We deliver. Visit our website for details and directions. Fit Turf is a local, family-owned business, specializing in lawn and tree health care. Fit Turf also offers various pest control services, such as Mosquito Control. True Pump & Equipment is located in Denver, Colorado and was founded as a pump and water well supply distributor in 1972. In 1993 the business expanded to include waterfall and water gardening products for both the retail and wholesale markets. In 1996 True Pump became Aquascape Design's first distributor and the primary focus of the business became ponds and water features. In 1990, Jack and Christine Fetig purchased Fossil Creek Nursery with the aspiration to supply their thriving landscaping business of 10 years, Alpine Gardens and Northern Colorado, with the best selection and finest quality plants in the area. Over the years, Alpine Gardens has become one of Fossil Creek Nursery’s largest customers. Fossil Creek Nursery was originally founded in 1969 on an acre site of the former McCleland Fruit Orchard on College Avenue just south of Harmony Road. With a deep love of horticulture and a valued sense of history for Fossil Creek Nursery, they continued this locally-owned family gardening tradition. Then, in 1997 Fossil Creek Nursery was moved to its present location at 7029 South College Avenue. Fossil Creek Nursery is currently positioned on 15 beautiful acres of hillside overlooking Benson Reservoir. Fossil Creek Nursery offers an exquisite garden center and greenhouse with numerous products and landscaping displays providing a comfortable shopping experience for you and your family. Our focus is helping our customers find inspirations to create the ultimate outdoor experience for their own homes. Jack and Christine are both active in the business, with Jack as Fossil Creek Nursery's chief operating officer and Alpine Gardens' head Landscape Designer and Christine as Business Manager for both companies. Through a commitment to deliver unparalleled value to their customers, the dedicated staff of long-term employees has made Fossil Creek Nursery a premier landscape and garden center for families throughout Northern Colorado. Small spaces? Pets? Kids? Want to bring the outside in? Don't have a green thumb but love the look and feel of plants? We are vertical garden and preserved moss wall gurus and we are looking to change the way people put plants on walls. Purchase Green is an accredited member of the Association of Synthetic Grass Installers and we take pride in offering the best products at the best prices. Our knowledgeable team members at our Denver store are well-versed in our products, the technology involved in the production of artificial grass, and the best practices for successful installation for Professional installers and DIY homeowners. You can buy Purchase Green Artificial grass products online at purchasegreen.com or come see our showroom in Wheat Ridge to purchase everything you need to do artificial grass, turf, putting greens, and sports field installs. we specialize in crooked fantasy outdoor garden structures that incorporate lighting and water features. Sundance Gardens & Landscaping is a full service landscaping company based in Evergreen, Colorado. Owner Dave Thomas and his experienced team have been creating beautiful landscapes and spectacular outdoor living spaces in our mountain community since 1978. After starting out as one guy with a pickup truck, Sundance has expanded into complete custom landscaping services, full maintenance, the Sundance Garden Center, and the Sundance by Design Annex (unique outdoor living items). 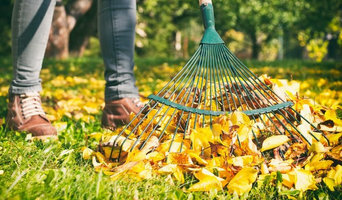 The professionals at Sundance truly understand the joys and challenges of mountain gardening and look forward to helping you create your unique outdoor environment. If you’ve been dreaming of a beautifully landscaped property with a water feature or a concrete fire bowl but don’t know where to start or what landscape supplies to buy, it may be time to look into garden and landscape suppliers in your Colorado area. From retaining walls to raised garden beds, these professional vendors can make your backyard the oasis you’ve been longing for. What’s more, many of these professionals can help you take your ideas from design to installation and provide garden care and yard maintenance according to your Lafayette, CO climate. Here are some related professionals and vendors to complement the work of garden & landscape supplies: Landscape Contractors, General Contractors, Landscape Architects & Landscape Designers. What if you would love to grow your own vegetables but have site limitations? Many garden supply companies offer planters and containers that are up to 42 inches tall. For those who live in colder climates, consider a greenhouse — just the thing to enjoy starting plants or growing exotic blossoms that wouldn’t quite work in your Lafayette, CO climate. Find garden and landscape supplies on Houzz. Search the Houzz Professionals section for Lafayette, CO garden and landscape supplies. Browse photos and read reviews. 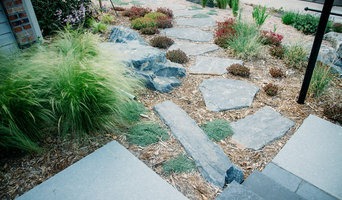 You can also explore full-service Colorado landscape architects and garden contractors.